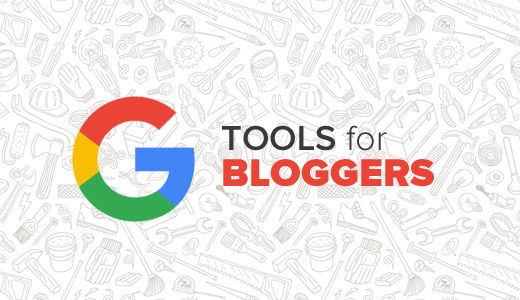 Google offers a huge variety of free tools to help bloggers and webmasters to improve their site’s SEO, improve productivity, make money, and more. 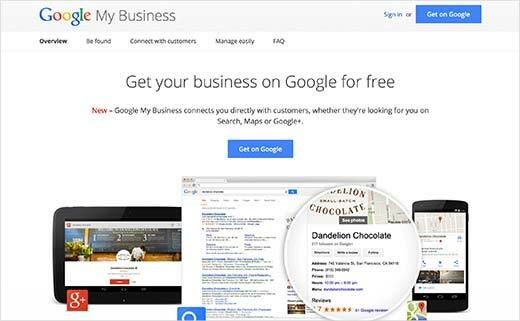 We will show you some of the best free Google tools that every WordPress blogger to use. 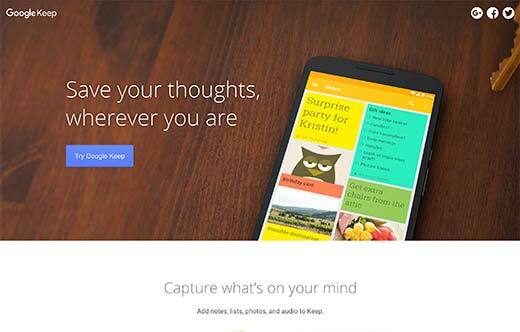 Want to know how Google sees your website? 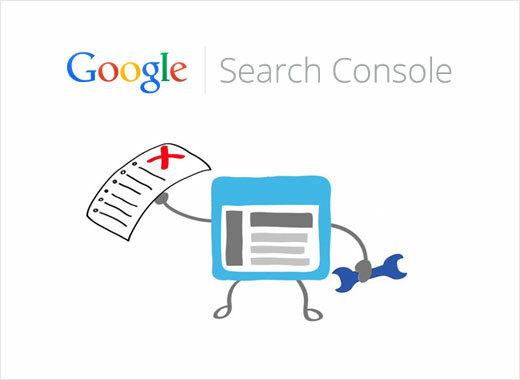 Start using Google Search Console (formerly Webmaster Tools). It is a comprehensive set of tools that you can use to improve your search rankings. It can help you find out which keywords from your site are ranking higher, which keywords are clicked more often, and more. You can submit XML sitemap to Google which will help Google discover and crawl your site better. Speed is one of the most important factor in user experience and SEO. 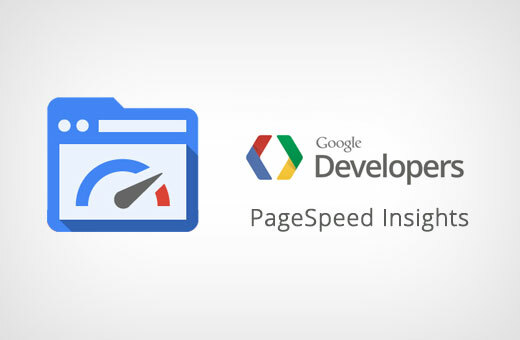 Pagespeed Insights helps you find out how your website ranks in terms of speed, and what you can do to improve it. It shows you results for both desktop and mobile. Breaking them into different sections. Each section will show you how different resources and practices are slowing down your website. A great number of search traffic originates from mobile devices. 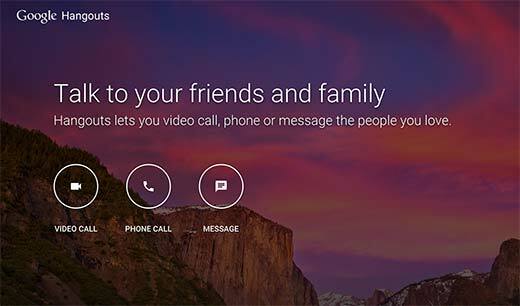 Google is actively trying to improve the mobile user experience. This means that mobile friendly sites will be prominently displayed in mobile search. 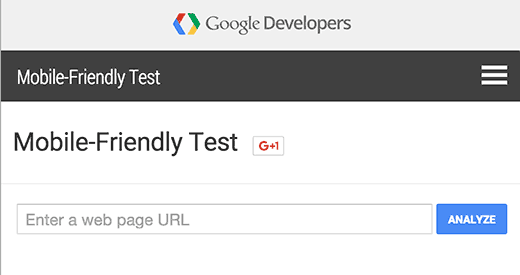 Mobile Friendly tool allows you to test your site for mobile readiness. WordPress site owners can easily make their websites mobile friendly by using a responsive WordPress theme. 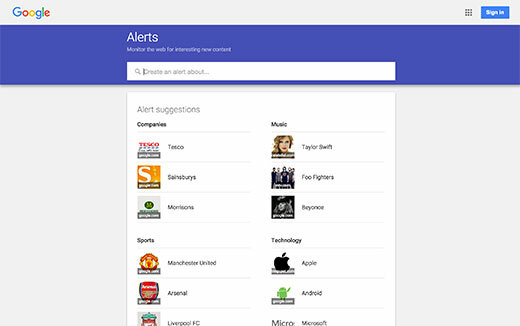 Want to know what users are searching for? 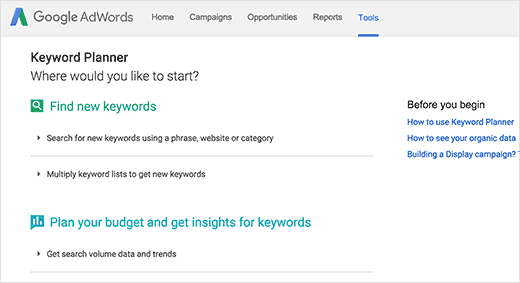 Google Adwords offers the insights into searches for advertisers with the keyword planner tool. Using this tool, you can generate a list of keywords related to your blog and see which keywords are more often searched. 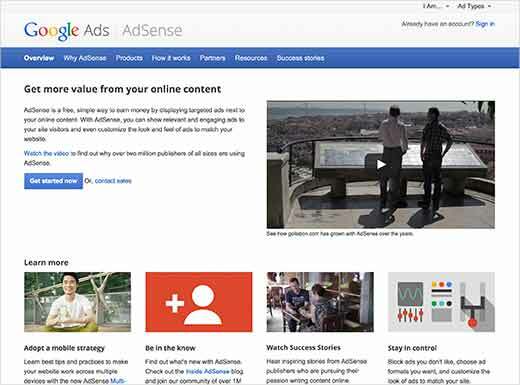 Keyword planner tool can also help you generate new blog post ideas, plan content strategy, and even run your own advertising campaigns using Google Adwords. 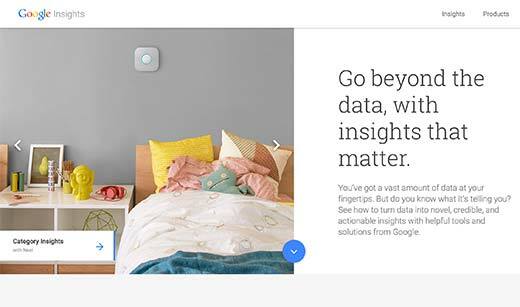 Google Insights offers tools to give you insights into search. 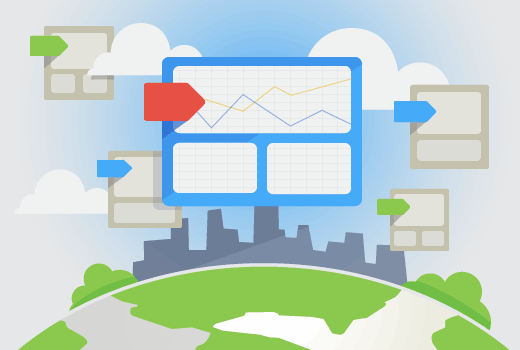 You can use Google Trends, Google Correlate, and Google consumer surveys to get the data you need. Simply enter a search term and see how it trends over time. You can compare different keywords to see how user interest developed or vanished on those topics. You can even focus on a geographic region to narrow it down. 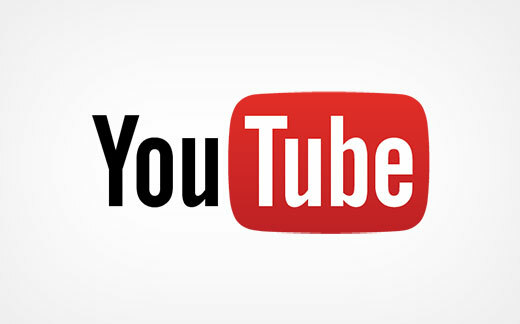 Typography plays a very important role in design and usability. 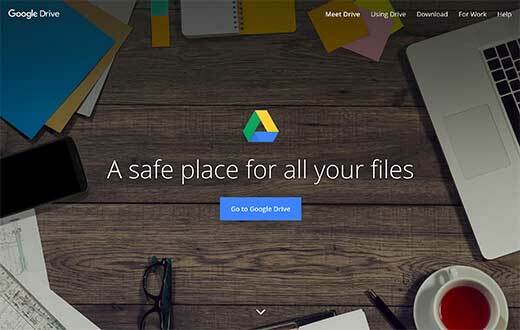 Google Fonts is the best place to look for free fonts that you can use in your projects. 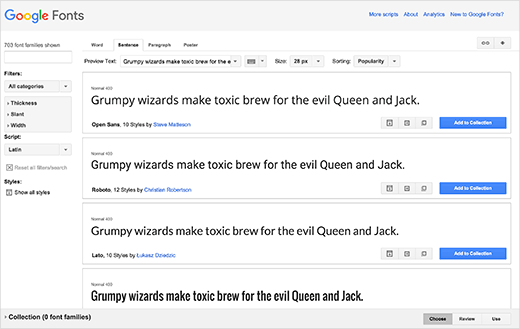 Google Fonts not only allows you to download and use these fonts, you can also embed them to your websites and serve them directly from Google’s servers.